45th President of The United States Donald J. Trump ran a campaign unlike any other with the promise to MAKE AMERICA GREAT AGAIN! 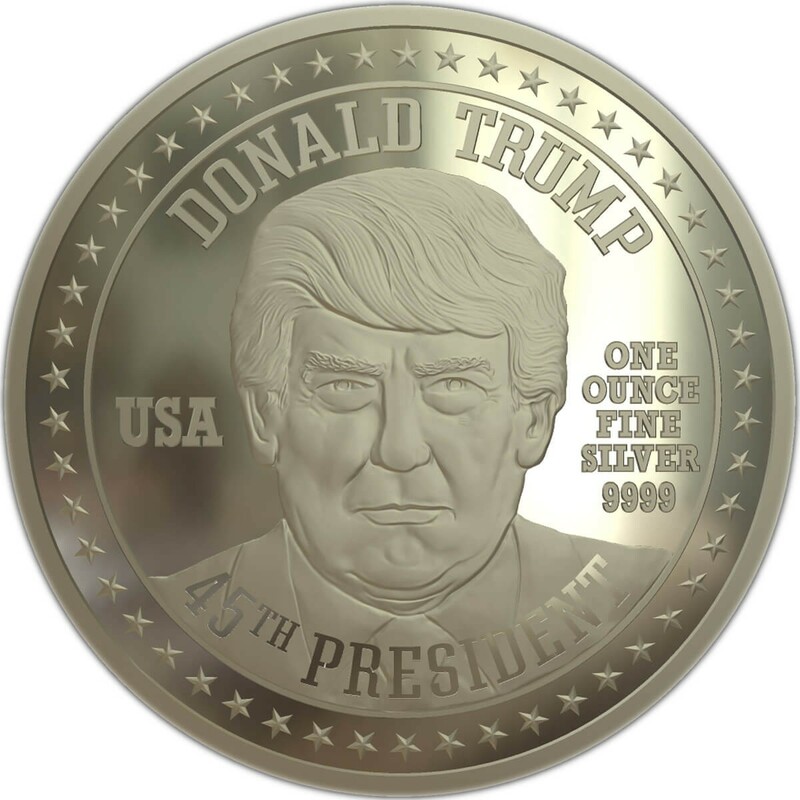 To commemorate Trump's historic victory, "Rogue Cartoonist" and blogger Ben Garrison has helped design an incredible, limited edition 45th President "MAGA" Silver Round, each containing 1 Troy ounce of .9999 Fine Silver. Montana-based cartoonist Ben Garrison's pro-Trump cartoons captured the imagination of millions during the 2016 election campaign. 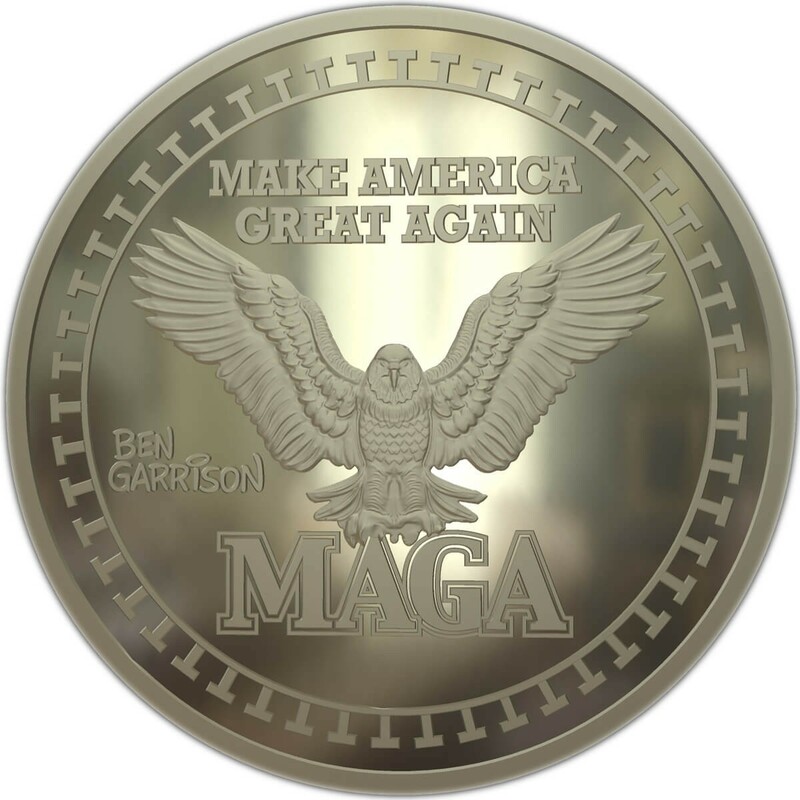 Based on Ben Garrison's original artwork, the President Trump "MAGA" one ounce silver commemorative coin will surely become a collector's item. The obverse features our 45th president. The reverse shows the MAGA eagle. Order a batch of MAGA rounds for yourself and the Trump supporters in your family while they are still available! Treasure Island Coins, Inc. is proud to be one of just a very few exclusive distributors of the 1 Ounce Silver "MAGA Round".